Android is the most common, popular and most customizable open source operating system. Now most of the smartphone comes with pre-installed Android or Android-based OS. If you have an Android phone, you may be heard the word root somewhere. There are many methods which root an Android phone with one click, but we choose the best one. 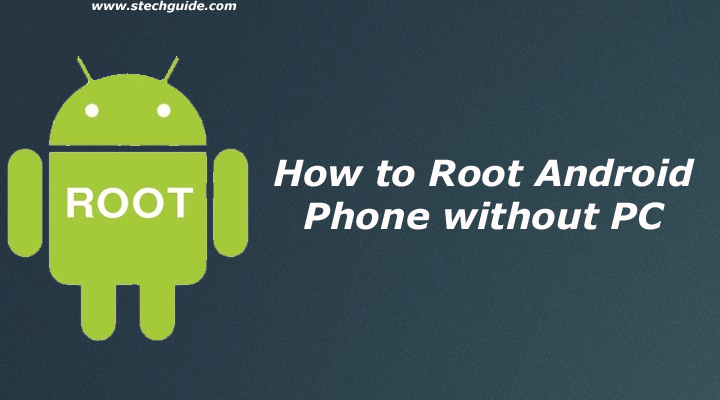 So today we discuss what is root and then How to Root Android Phone without PC. Check below to How to Root Android Phone without PC. What is Root– Rooting is equivalent to jailbreak iPhone. Rooting means you can bypass all Android security, and you should get superuser rights on your phone. With these rights, you can Install a custom recovery, custom kernel and custom ROM’s in your phone. You can improve battery life of your phone with automated kill background apps, block ads, backup your phone and the best thing is you can uninstall bloatware( pre-installed Android apps). Now the thing is how to root your phone? How to root – Many people do not root their phone because of long or complicated methods. If you want simple or one click method to root your phone, this topic is for you. Today we discuss two apps that root an android phone with one click, and these apps also unroot your phone with one click. First, one is framaroot, and the other one is kingroot. We discuss step by step guide of both one by one. Before you Root Android phone without PC, check out benefits of rooting. Rooting will void your phone warranty, and you won’t claim it back. We are not responsible for any damage to your phone. The below method will not erase any data, but we advise you to take a complete backup of your phone first and then proceed. 1) First, you need to download Framaroot app or copy framaroot.apk on your mobile if you downloaded it from PC. 2) Now go to your phone setting–>security and make sure that unknown source was ticked. 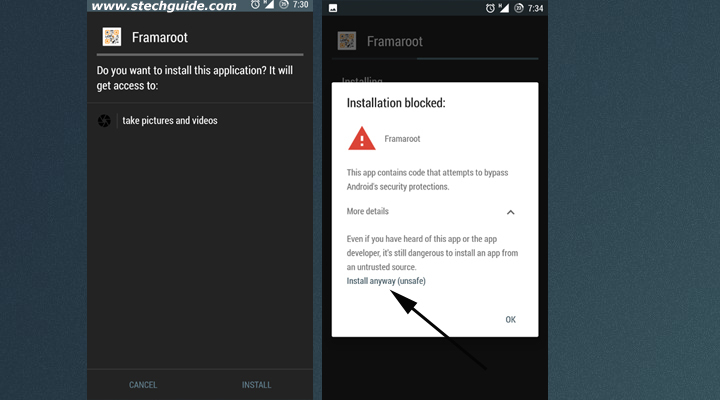 3) Install Framaroot.apk on your device (if you get warning message shown below click on install anyway) and open the app after the installation complete. 6)If you successfully rooted you can check the link below if your phone is rooted or not. If you get failed message try another exploit or move to different method listed below. B) Kingroot: – Kingroot is almost same as framaroot, it Root Android phone without PC. Previously this app was only in the Chinese language, but now they have English version also. 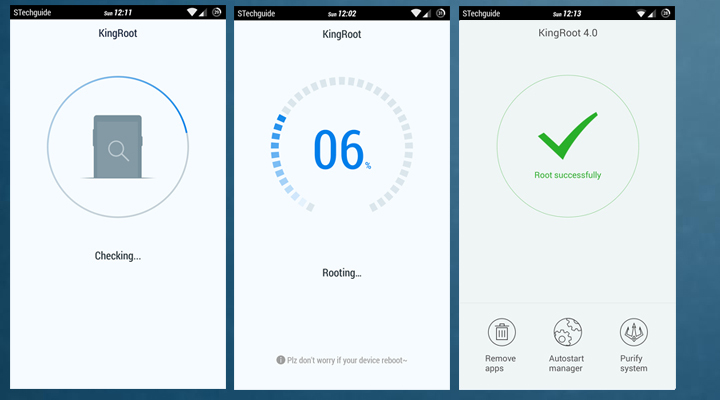 Check how to Root an Android phone with Kingroot. 1) Download Kingroot app and install it on your device. 3) After installing the app, Open it. It will check your device status if the root is available for you or not. 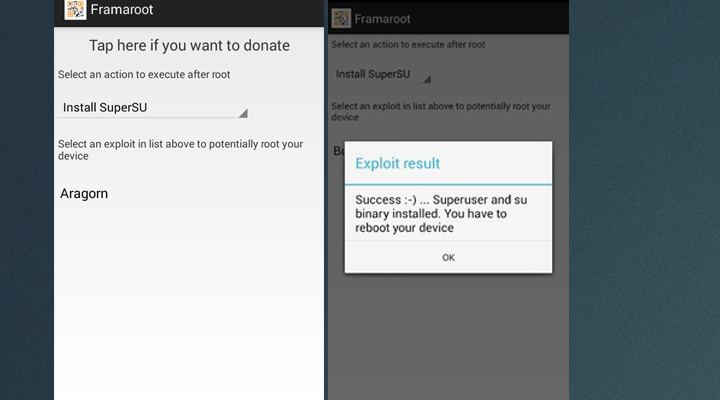 4) Now click on ‘TRY TO ROOT’ to start the rooting procedure. It will check for working exploit to root your device and take only a few minutes to complete the process. 5) Reboot your device, when the process Completes. That’s it you successfully Root Android Phone without PC. Another one click rooting methods are kingoroot, towelroot, and cf auto root is also Root Android Phone without PC. 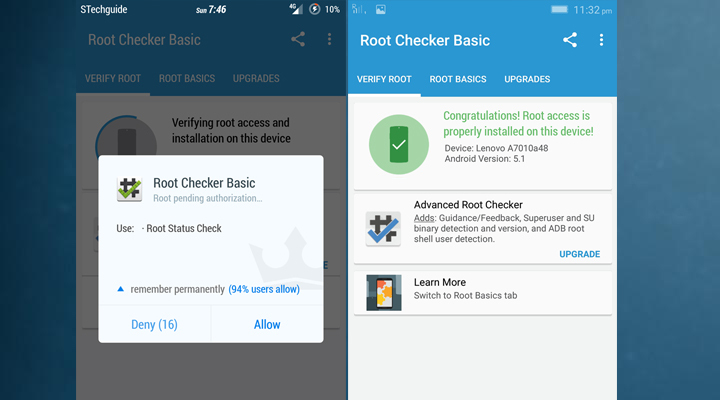 You can try towelroot and cf auto root if you have Samsung mobile and above method don’t work for you. This is the complete guide to Root Android Phone without PC with two best methods. Let us know if above one click root methods work for you or not by commenting below. Thanks for the information but dear Sumit pls tell me weather these app works for the phones having locked bootloader. Yes I try(kingroot) on my oneplus one and it worked. I was setting display on as usual by finger scan, but some software asked me enter password pin to unlock it. is it kingroot? also checking web for so many versions of kingroot I am not sure if it is legimate app. 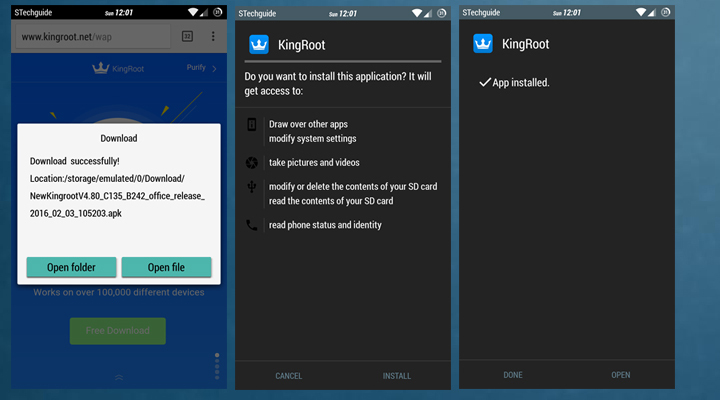 can I safely run my banking apps safely after rooting with this kingroot. Hi, the XDA link posted in above is the original one. And kingroot or any other rooting app wouldn’t ask for your password so it may be some other app. And yes you can use banking apps its totally safe…I’m using ICICI app on my rooted oneplus one for long time. Sumit Pls Tell If Kingroot Works On Marshmallow Oneplus one Thanks! Try it on your device it’s totally safe and you don’t face any problem even if the method fail. BTW I tried it on my OnePlus one running on Lollipop may be it works on Marshmallow to. I’ve tried both Framaroot and Kingroot on my LG 4g but have had neither success. Can you tell me if these applications are compatible with my phone? Also, how can I root my LG 4g phone? No root stratergy for Lenovo K4 note with marshmelow?